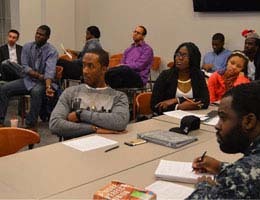 Tidewater Community College students in U.S. Government I took learning to a whole new level during Summer Session 2014. They participated in an innovative class project to develop legislation to help those accused, but not convicted, of crimes, get the mark off of their records, without paying fees or costs for filing such a petition. The end result: House Bill 1442. Students researched case laws, contacted their state representatives, studied other bills to see how to write their own, and then got to work. Once someone is accused of a crime, even without a conviction, that mark stays on his or her record until attorney and court fees of $100 to $500 are paid to clear the record. “Simply put, some people can’t afford to clear their names, making it difficult to get jobs,” Williams said. Williams noted that his students faced many closed doors before one important one opened. “In order to get the bill to the General Assembly, we needed a representative to sponsor the bill.” Getting Del. 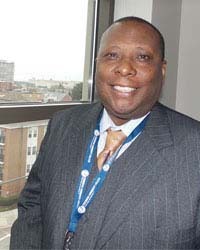 Lionell Spruill Sr., who represents parts of Chesapeake and Suffolk, on board was a huge boost. House Bill 1442 made the rounds this session, moving from the Committee for the Courts of Justice to the Appropriations Committee to the Public Safety Committee. The bill was sent back to the Appropriations Committee and placed on hold until next session. “Everyone liked the bill; it just cost money – an estimated $110,000 per year in court costs. Even though the bill stalled, Delegate Spruill has promised to reintroduce it next session,” Williams said. “Through it all, it was great to see how we effected real change,” Reynolds said.